As of end of March 2012, AWB’s total assets reached EGP 17.8 billion, up 8% year-on-year & ROA increased to 1.69% compared with 1.54% in March 2011. Al Watany Bank of Egypt (AWB), the subsidiary National Bank of Kuwait Group (NBK) in Egypt, reported net profits of EGP 75.1 million for the first quarter of 2012 compared with EGP 63 million for the same period in 2011, an increase of 19.2% year-on-year. 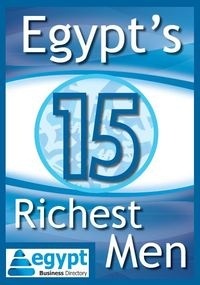 As of end of March 2012, AWB’s total assets reached EGP 17.8 billion, up 8% year-on-year. ROA increased to 1.69% compared with 1.54% at the end of March 2011, and ROE increased to 18.74% from 14.13%. Yasser Hassan, AWB Managing Director, said that AWB has once again proved its ability to post strong profits despite the unfavorable and challenging local and regional situation. AWB’s resilient performance for the first quarter of 2012 reflects the bank’s strength and solid financial position. “AWB has been one of the fastest growing banks in Egypt over the past few years and is moving forward with its strategy to strengthen its position in the Egyptian market,” added Hassan. AWB, a member of NBK Group, was established in 1980 and has a branch network comprised of 41 branches situated at strategic locations within the various Egyptian governorates and cities, including Cairo.